class="page-template-default page page-id-5546 wpb-js-composer js-comp-ver-3.6.12 vc_responsive"
WOODSONGS in the CLASSROOM is a Music & Arts Education Project involving music, history, language arts and more designed to encourage community and creativity. They’re FREE. Choose the ones you want your students to enjoy and make sure you register your school or family by sending an email to Teachers@woodsongs.com with your name/school/city/state or call us 859-255-5700. At the height of World War II, a reported confronted Winston Churchill and asked if he intended on striking the arts from the government budget to pay for the war effort. His response, “Then what are we fighting for?” We think music and art is worth fighting for, so we offer all of this free of charge to teachers and home school families. 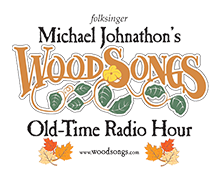 The WOOD SONGS CLASSROOM Video/Streaming project: MIDDLE, HIGH SCHOOL and COLLEGE Lesson Plans available. This project uses the streaming WoodSongs public television broadcast as an in-class teaching tool. Students watch select 25 minute segments of WoodSongs on your projection screen or desk top. This series highlights our rural, organic, musical tradition. It also exposes students to the wonderful world of grassroots music as we explore people, artists, cultures, songs, history and instruments from across America and around the world. LESSON PLANS: The goal of this project is to encourage love and passion for the arts. You will be amazed at the array of choices you will have. Simply register your school and VISIT our Teacher’s Download center. This is all FREE to schools. Walden: The Ballad of Thoreau is a simple-to-produce play (2 acts, one set, four characters. Each act is about 25 minutes long; total performing time 55 minutes) that can be acted as a theater production, read as a script reading in class, watched as a DVD or streamed into the classroom online. Ideal for 8-12 and college. This project includes lesson plans for middle, high and college, perfect for studies on writing, English, history, drama, Thoreau, Em erson and more. The two act, four character 45 minute play is mainly a conversation between Henry David Thoreau and Ralph Waldo Emerson set during the final two days Thoreau spent in his cabin before leaving Walden Pond. The dialogue of the play is based on actual quotes from the writing and letters of Thoreau and Emerson. To get the play script and materials simply go to our Teacher’s Download center. Browse the array of FREE roots music teaching tools and projects you can use. Make sure you email us your registration info first! NOTE: Make sure your browser is updated and your “ad block” preference is turned OFF. If you have trouble opening the page you can also try reloading it. Does the Classroom program, Walden Play and Coffeehouse cost us anything? No, not a cent. Do I need to be a member of the WFPA to start a WoodSongs Coffeehouse? Nope. Why Is This Project FREE to schools? Our Classroom program is provided free to schools because of the fundraising efforts of the WoodSongs Front Porch Association (WFPA 501-c-3) membership. Most of the funds are generated by the yearly WoodSongs Gathering. We would love for you to become a member of the WFPA, but it is not necessary in order to use the educational programs we provide. PLEASE NOTE: although there is a polite thank you, there is no effort to “sell” anything, no commercials and no corporate indulgence in any part of this project.